JTAG testing can represent a low cost solution for many low-to-medium volume products. Burton Industries’ latest whitepaper provides an overview of this test technology, along with its benefits and design considerations. Read the full paper here. Anyone who has spilled a cup of coffee on a keyboard or dropped a cell phone in water underst ands the negative effects that moisture can have on the operation of electronic products. Products used in harsh environments with regular exposure to temperature extremes, water, humidity, sand or salt spray can also have performance issues. One way to mitigate that risk is to either coat or encapsulate all or part of the printed circuit board assembly (PCBA). Conformal coating is the most widely used method and acrylics are among the most popular conformal coating material. Acrylics are easy to apply and easy to rework. Silicone is also popular. However, it is harder to remove for rework. Rework on silicone-coated PCBAs requires use of solvents unless only a small area of the product will undergo rework. The main advantage of silicone is that it is stable at higher temperatures up to 200 degrees C, which makes it appropriate for high heat applications. The team at Burton Industries uses a one-part silicone formula. Both acrylics and silicone provide good protection from moisture, fungus, dirt, dust and salt spray. Silicone provides better protection in environments that include chemicals or solvents and vibration. Potting provides additional protection in harsh environments by encapsulating sensitive electronics. When used on a single component in a process known as “glob top,” it can protect ICs from damage or strain. Some companies use potting compounds as a means to prevent theft of proprietary data. Potting may be a better solution than conformal coating for protecting products in environments that have a lot of vibration because it provides total encapsulation. It can also help with heat dissipation, since encapsulation spreads heat more evenly. Other harsh environmental conditions it can protect against include chemical or gas exposure, shock and drops. In selecting an appropriate potting compound, it is important to consider environmental factors and potential component stress issues. For example, a softer compound will put less stress on components, particularly when there are temperature extremes. Both potting and conformal coating add cost to the product, although prevention of field failures can eliminate a much higher cost. Once a product is potted, it generally can’t be reworked. Products incorporating potting must either be designed with an enclosure that won’t allow seepage during cure or a mold must be made to hold the compound during cure. Curing time with potting can be longer than that of conformal coating and the curing process requires control, since heat and humidity can affect cure time. Both coating and potting require a clean substrate for the coating or potting to adhere properly. When no clean flux is used, it must be tested to determine if an additional step is required to clean the substrate prior to coating or potting. Use of non-wettable components will add cost. At a minimum they need to be masked or protected with a fixture if dipping or spraying is used. Thickness of the coating must be controlled to stay within the design specification including the thickness tolerance. Conformal coating and potting offer viable options for protecting products from harsh environmental conditions. 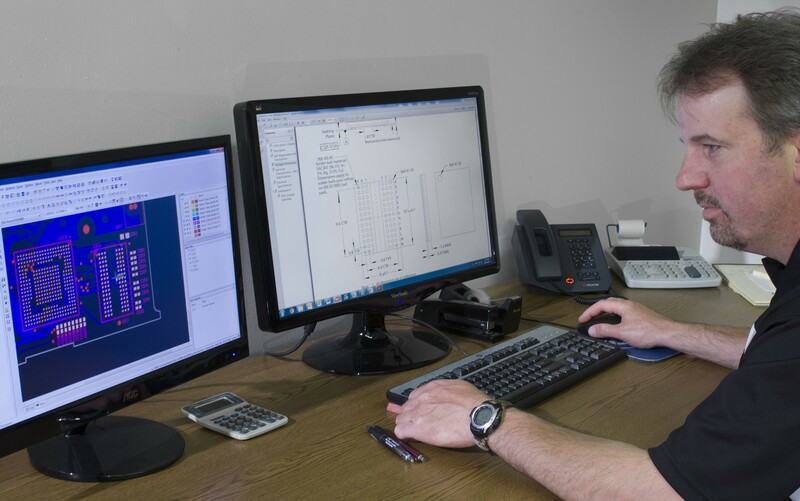 The team at Burton Industries is experienced with a wide range of options and can help with both the design and selection process. Issue 1: Lack of Proper Protection on I/O (Inputs/Outputs). Most devices need to take input signals and output a signal to other devices out in the field. These are generally connected via hard wiring. This hard wiring can be susceptible to external electrical noise or power surges due to other devices or lighting strikes and electrostatic discharge (ESD). When this happens, it is very possible for this unwanted noise to be induced onto the wiring going back into your system. Sometimes minor, but sometimes major damage can occur making the product malfunction. To prevent this, it is vital to design protection circuits that shunt the unwanted energy to ground. Issue 2: Lack of Proper Power Conditioning. For any electrical product, it is important that the incoming power is conditioned to accommodate fluctuations in power, brown out conditions, missing AC cycle and power outages. There are a number of ways to accomplish this. Many active ICs have some power conditioning built in and some even have the ability to monitor the power. Otherwise, utilizing simple resistors, capacitors and inductors in various topologies accomplishes sufficient power conditioning for most designs. Issue 3: Design for Manufacturability (DFM) Guidelines Ignored. As I always say, you only design a product once, but you build it many, many times. Following good guidelines not only controls cost, but also ensures good quality. Follow proper spacing when routing traces, placing vias/pads, and placing components. Maintaining minimum distances to stay within “standard” capabilities for both fabrication and assembly results in good quality at a lower cost. Issue 4: Design for Test (DFT) Guidelines Ignored. Process control requires a mechanism to monitor the process. Electrical test can serve as that mechanism. Providing at least one testable-sized via for each net on your design is good practice. Test fixturing has become more of a commodity these days so the cost of fixtures has dropped significantly. Keep the test pad (which can be a via) at least 35 mils diameter size and minimum 75 mils diagonal spacing to adjacent test pads. Keep test pads minimum 75 mils from body of component and 25 mils from a component lead. Following these two design guidelines will allow for good test coverage utilizing a lesser cost fixture. Issue 5: Insufficient Filtering of Integrated Circuits (ICs). Placing filter capacitors (aka bypass caps) onto each IC is required to provide enough localized potential energy to allow the IC to switch properly. The other function they serve is to filter out AC (or DC ripple) voltage as not to interfere with the function of the part. Not having bypass caps in place may cause the IC to switch states unintentionally. Issue 6: Insufficient Bulk Capacitance. Bulk capacitance is required to maintain proper voltage levels throughout the entire board. Depending on board size, there may be multiple sets of bulk capacitors used. Because the power source or power supply may not be able to provide sufficient power to all parts of the board, the bulk capacitors help provide the additional energy as needed. In other words, they help load level the supply(s). Issue 7: Insufficient Protection for Uncontrolled Incoming Power Loss. Linear regulator protection is required to account for uncontrolled incoming power loss. When this occurs with insufficient protection, the current will want to go through the regulator in the wrong direction, possibly damaging the component. Ideally, a diode should be provided to shunt the current around the regulator instead of through it. Issue 8: Failure to Utilize PCB Design Good Practices. Most products sold into market need to comply with certain agency standards, i.e. U.L., FCC, CSA, CE, etc. In order to pass many of these standards, employing sound EMC (electromagnetic compatibility) practices is key. The compatibility part of EMC means that a design cannot emit any electromagnetic interference nor be effected from induced electromagnetic interference. Following the practices mentioned previously will all help with ensuring the product complies with EMC requirements. Additionally, if you remember what was taught in basic circuits class, current (I) flowing through a wire will create an electric field. As a result the more wires carrying current, the more fields are produced. And a trace on a board is really nothing more than a wire. So keeping all wires a short as possible with the least amount of resistance reduces the magnitude of the electric field(s). These can be mitigated by providing sufficient power and ground planes which ultimately reduces ground loops. And one more thing to remember, a loop of wire with current traveling through it is really an antenna! This is not good for passing EMC testing.